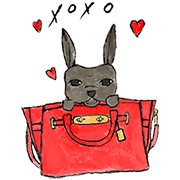 http://www.line-stickers.com/ – Meet the #coachpups Line Sticker | Introducing the fashionable #coachpups from New York! 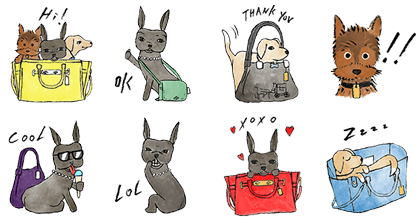 Make your chats fun with these adorable stickers of pups in their favorite bags. Friend COACH’s official account, and bring these cute little friends into your life! Available till October 20, 2015.